The 3rd edition of the best-selling one-on-one, comprehensive assessment to determine students' independent and instructional reading levels on the F&P Text Level Gradient™. 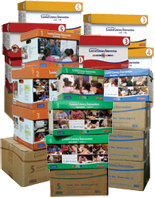 If you are currently using BAS 2nd edition and are considering purchasing more systems, contact your local sales representative to discuss the best options for your school or district. It is highly recommended that all classrooms and/or teachers use the same edition.